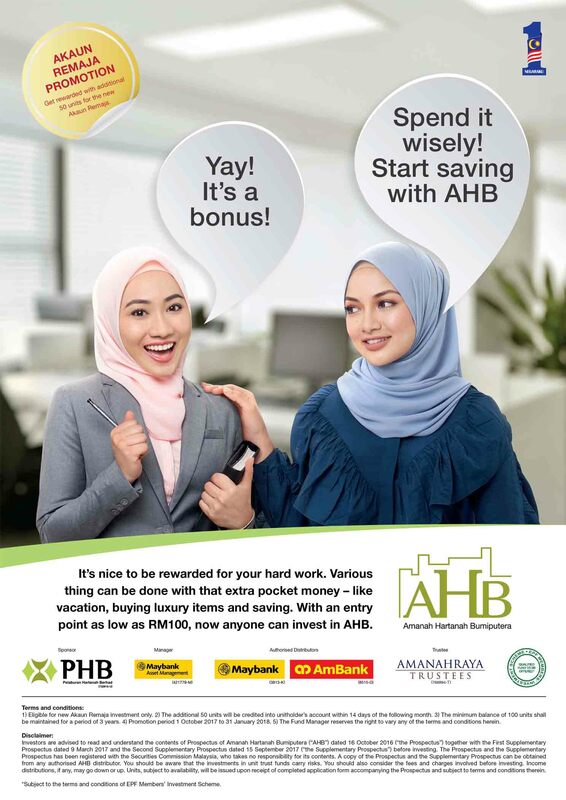 AHB is a Shariah-compliant unit trust fund that invests primarily in beneficial ownership of commercial properties in prime locations within Malaysia. It Is established to provide opportunity to Bumiputera Investors to participate in owning prime commercial properties through the holding of units in AHB as unit holders. 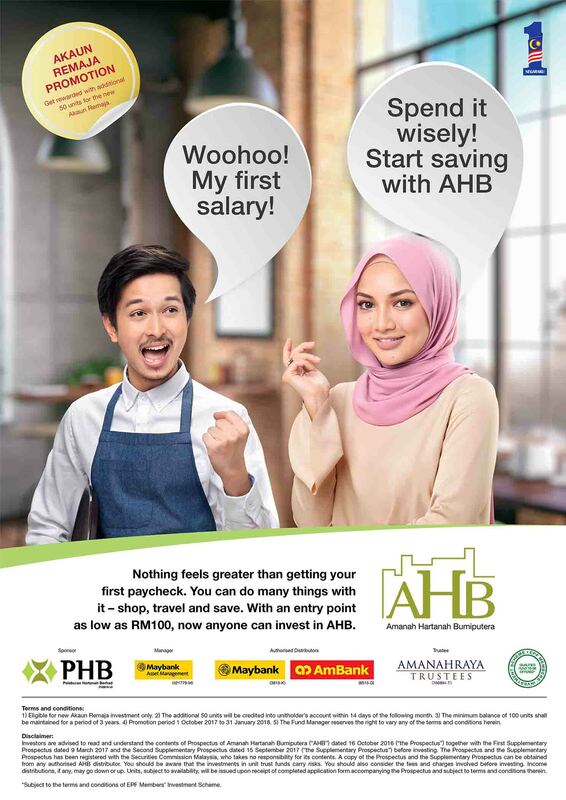 AHB has an initial fund size of 1 billion units available to be subscribed by Bumiputera Investors at a price of RM1.00 a unit. The fund is presently backed by 19 commercial properties that are already tenanted and are enjoying a steady stream of rental income. In 2012 and 2013, the fund size was increased by 500 million units respectively, giving the total fund size of 2 billion units. Subsequently, the fund size has been further increased by 1.5 billion in April 2016 and 500 million in September 2017. As at to date the total fund size is 4 billion units. The minimum investment entry is RM100 per person, whereas the maximum investment is RM500,000 per person. 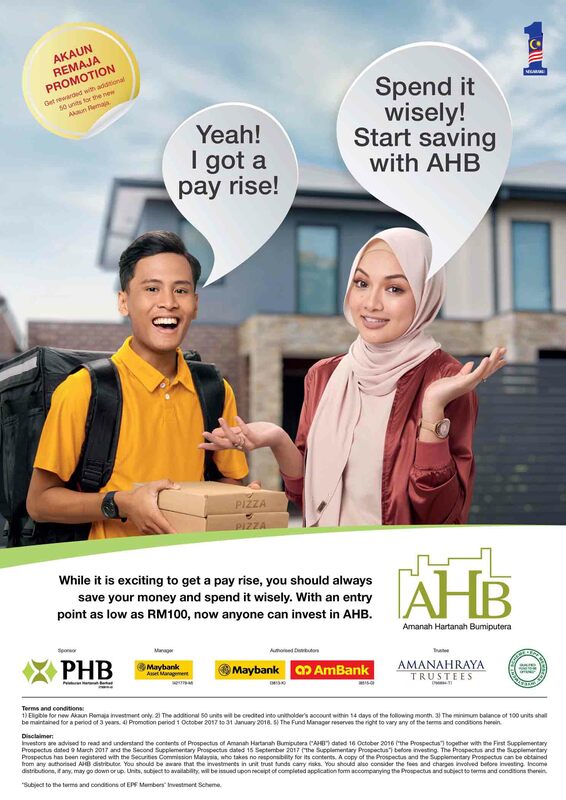 AHB is sponsored by Pelaburan Hartanah Berhad and managed by Maybank Asset Management Sdn.Bhd. The Trustee for the fund is AmanahRaya Trustees Berhad. Call 03-2297 7888 for more information or walk into any Maybank branches nationwide to sign-up.